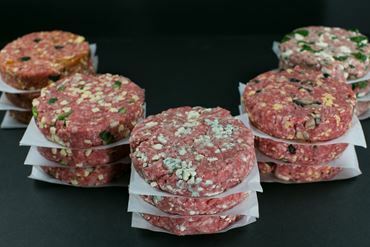 Shop Halteman Family Meats' large variety of Black Angus Beef burgers, steaks, and roasts. Brisket is synonymous with Texas & Kansas City-style barbecue. Best when rubbed with spices & finished as burnt-ends or with a healthy lathering of barbecue sauce. Our brisket is hand-trimmed and tender; sure to be a big hit at your next barbecue! Your choice of a trimmed or untrimmed cut. 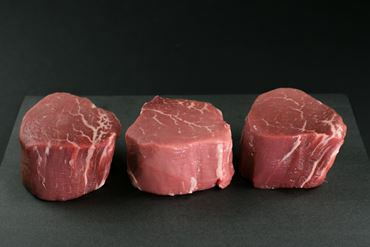 Also known as a "top blade" steak or simply "blade" steak, this cut works best slow-cooked or braised. Just add a little salt & pepper and some garlic. A day on the ranch is sure to build up a cowboy-sized appetite, but a thick, cowboy-cut ribeye doesn't come with a 10-gallon hat prerequisite. 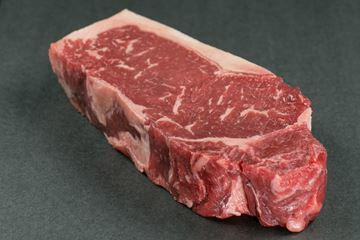 Typically cut 2 to 2 1/2 inches thick, a cowboy-cut ribeye is basically the same as a bone-in ribeye steak. Whether it's grilled steak for two or any other special occasion. This plus-sized steak is perfect for anytime you want to go big. Harvested near the spine, this cut is the most tender and the most desirable of all steak. Can be grilled or pan-seared to perfection; which normaly means a rare middle. Great with our steak and roast rub. 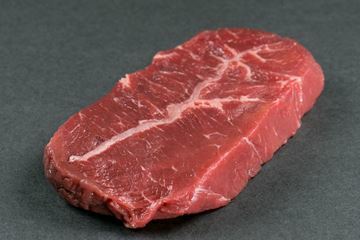 The flank steak is a beef steak cut from the abdominal muscles or lower chest of the cow.It can be grilled, pan-fried, broiled, or braised for increased tenderness. This is a delicious cut of beef that works great sliced & served as-is or mixed in with a stir-fry. This classic cut is filled with marbling that makes it tender & juicy. Pair with a baked potato & ceaser salad for the ultimate throwback to one of America's favorite meals. 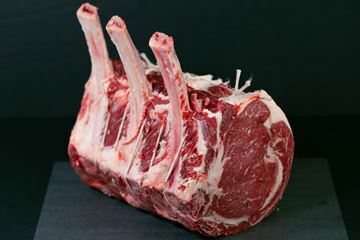 Porterhouse steaks are cut from the rear end of the short loin and thus include more tenderlion steak, along with (on the other side of the bone) a large strip steak. This boneless steak is rich, tender, juicy and full-flavored, with generous marbling throughout. 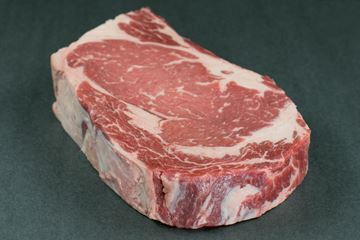 (Also known as a Delmonico) the ribeye has long been a favorite of steak lovers worldwide due to its luscious marbling. 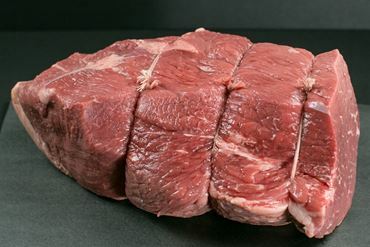 This is a delicious and tender cut of beef that is great for cooking & slicing for your guests. A great party starter! Set it and forget it! The perfect slow-cooker meat that works well for the food prepper in the family. 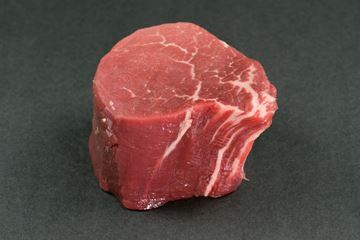 The sirloin steak is cut from the back of the animal & is generally less tender than other cuts. This is a traditional steak that is best in a stir-fry or taco-style meal. Although they taste delicious they are not as robust as a ribeye. This is one of the more eye-pleasing dishes that you can prepare! 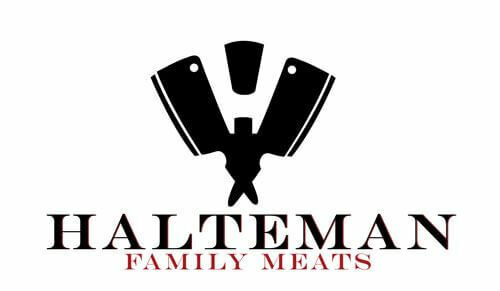 A customer favorite for family dinners ranging from casual Sunday dinner to special Holiday meals. Whether you want to prepare your roast in the oven or on the grill, it's perfect for those who prefer a classic presentation.